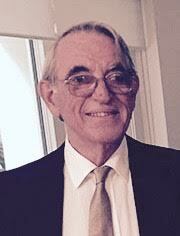 Well-known Canadian palliative care physician, Dr. Larry Librach, died of pancreatic cancer in 2013, aged 67 years. There are also some pertinent comments about physician-assisted death. As a physician, he was against it; as a patient, he was against it. But when running the Canadian Hospice Palliative Care Association (CHPCA), he set up a working party to look at the issues, and I think came to the conclusion that the tiny number of patients who could never be satisfied by the best that palliative care could offer, would result in the legalization of physician-assisted dying. Larry’s story is interspersed with Dwyer’s recollections of his own brother’s terminal illness – he died of throat cancer in the UK in 2010. Despite all that we hear about the wonderful Macmillan Nurses and the fantastic system of hospices and palliative care, the system of palliative care in Manchester described by Dwyer is woeful; neglect and disinterest are words that come to mind. Another fact that raised my eyebrows. ‘If you die in Canada today, it is much more likely than not that palliative care won’t be available for you. Between 70 and 84% of all Canadians die without receiving, or having access to, palliative or end-of-life-care services.’ So they are introducing medically assisted dying when only 16-30% of the population have access to palliative care? I enjoyed this book, which has lots to think about. Rodney Syme is a urological surgeon in Melbourne, Australia. He has been an advocate of medically assisted dying for many years, working with the Voluntary Euthanasia Society of Victoria, now re-branded as Dying With Dignity Victoria. Syme opens with the story of an unfortunate individual who died of laryngeal cancer. As it is described, his written advance directives were disregarded and he of course had unrelieved pain, suboptimal symptom control and suffered significant side effects of the medications he received. We are told repeatedly that this occurred under the care of a Catholic palliative care team in a Catholic hospice. In this and the other tales of woe, his language is dramatic, wringing every last emotional drop from his stories: suffering was always intolerable and unrelievable, no symptoms responded to therapy, etc, etc. But anyway, hard cases are said to make bad law. He implies that vast numbers of people are now requesting medically assisted death (‘the momentum’), which I dispute. In my practice as an oncologist and palliative care physician, I have dealt with at least ten times the number of patients with advanced disease that Syme has seen and I have never received one request for assisted dying; and, no, patients were always given plenty of opportunity to ask anything they wanted. I wonder whether the polls reported are based on asking people whether they want their loved ones or themselves to die in agony or vote for assisted dying; if that were the situation, I would probably vote for euthanasia. In his discussion of palliative care, Syme states that it ‘is one of the most important developments in modern medicine’, but this is followed by ‘there is scant evidence to support the effectiveness of specialized palliative care for patients with terminal illness in terms of quality of life, patient or caregiver satisfaction, or economic cost.’ Sounds a bit contradictory to me, but I think Syme feels assisted dying trumps palliative care every time. 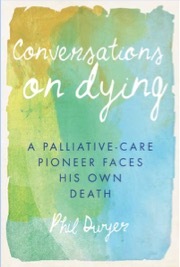 A more sinister thread comes to light in this chapter – that he believes it is the strong religious beliefs of some of the pioneers in the field of palliative care (Christianity, Catholicism in particular) that are preventing palliative care associations and the profession in general from embracing assisted dying; having worked with several of the individuals named, I found this quite disrespectful. He also says it is hypocrisy to oppose assisted dying whilst employing terminal sedation, which I think he regards as a slow and somewhat clumsy form of assisted dying. 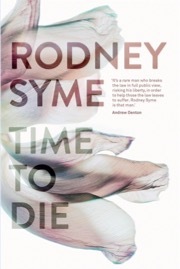 Syme’s discussions of dignity, vulnerability and burden are predictably slanted to his obsession for assisted dying. With regard to autonomy, Syme states that all doctors have a fundamental and overriding legal and ethical duty to respect patient choice – if they ask for assisted dying, there isn’t any discussion; I do not go along with that. As noted recently in this column, there is a good paper written by two Australian psychiatrists, Brian Kelly and Francis Varghese, The Seduction of Autonomy: Countertransference and Physician Aid in Dying, which is a careful examination of the innumerable psychological issues and interactions involved with requests for assisted death, and makes an absolute nonsense of yes/no attitude of our politicians (and Syme) towards patient autonomy and the right to assisted dying. Interestingly, Syme finds euthanasia by lethal injection ‘distasteful’ and claims he would never do it. Making a date and time to give someone a lethal injection would be ‘unconscionable’. But . . . well . . . if there was a question about ingesting or absorbing the medication, or paralysis, . . . then it would be OK.
Much of the last part of the book is about the legislation to be brought before the parliament of the State of Victoria to legalize medically assisted death. Syme thinks the proposed guidelines are excellent, although he would spread the net to include patients with ‘advanced incurable illness’. In contrast, I think the guidelines are vague, clinically impractical and open to abuse. The other issue with the guidelines, which is not discussed by Syme, is that doctors, like patients (and politicians, perhaps), are human. They vary. Some are good, some are less good. There are good ones who have bad days. There are some who cannot cope with a lot of pain and suffering and resort quickly to the ‘nothing more can be done’ position, which is halfway to assisted dying. Reading this book and the parliamentary report, I am flabbergasted that there is no mention of any problems with assisted dying in The Netherlands. Not whether some patients benefited, but the widespread abuse of the system. No one knows exactly how many cases of assisted dying are not reported, but it is believed to be significant. There is no mention that Dutch doctors often do not consult a colleague for a second opinion, even though it is required under the law. There is no mention that when voluntary euthanasia for terminal illness was condoned, Dutch doctors performed euthanasia on patients with psychiatric illnesses and mental handicap. There is no mention that throughout the 1990s, about one thousand patients a year were euthanized without request, never mind consent. Over the last few years, the number of patients undergoing euthanasia has continued to increase (5,500 in 2015), in addition to which there has been a dramatic rise in the use of terminal sedation. Deaths involving palliative/terminal sedation jumped 150 percent in the five years to 2010. It has the advantage that it does not have to be reported to authorities and doctors have admitted they are using it to end patients’ lives (i.e. ‘euthanasia in disguise’). This is an important book, and I do not doubt Syme’s sincerity for one moment. I agree with him that people in our society want and deserve better dying. I think that this involves things like health professionals talking more honestly about death and dying, getting people to think in advance about what they want (‘having the conversation’ – 100 percent of them are going to die), and trying to limit futile therapy that simply prolongs suffering. I disagree with Syme that handing out lots of suicide sachets of Nembutal will fix the problem and worry that it may bring a whole lot of new problems.